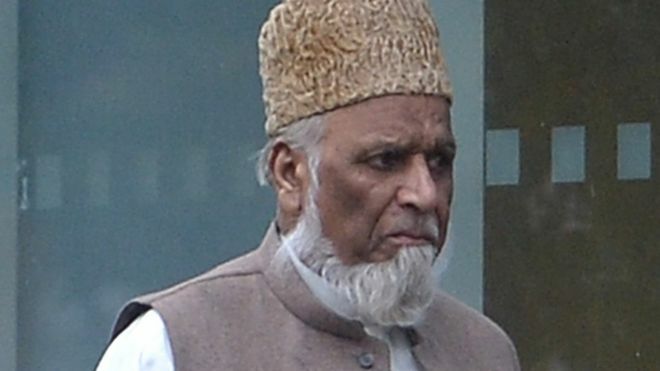 An 81-year-old former Koran teacher has denied he “touched” children at the Madina mosque in Cardiff. Mohammed Haji Sadiq, who taught for 30 years until 2006, pleaded not guilty to 15 child sexual offences. Speaking through a translator at Cardiff Crown Court, he denied ever touching a child in lessons although he “tapped” those misbehaving on the back. He is accused of eight sexual assaults on a child under 13 by touching, and seven indecent assaults. The allegations involve four girls aged between five and 11 and are said to have taken place between 1996 and 2006 at the mosque on Woodville Road. Under questioning Mr Sadiq said he did not know the ages of the children he taught, how old the youngest was, or their names. When asked why the allegations were being made, he said there was “a lot of politics going on in the mosque”. He told the court there were other teachers and worshippers in the mosque during his lessons for up to 30 children and his classroom door was open. Mr Sadiq also said he did not take a register, with the jury told records were destroyed when the mosque burnt down in 2006. It matters not. The enemies of Israel must not be in the UK.